Click each “feature” below for a more detailed description. Basic MLS exposure. Our most economical package. This is great for condos, land, etc. Everything included with $299 but with more photos, longer term, a sign, and more! When you receive an offer the broker will review and provide you with feedback/coaching. Same as $699 but broker will assist with all negotiations from Offer to Closing. Customer Service	 Top Notch! Be wary of the low-cost MLS services. Top Notch! Be wary of the low-cost MLS services. Top Notch! Be wary of the low-cost MLS services. Top Notch! Be wary of the low-cost MLS services. Customer Service matters! And our customers seem to be happy; just take a look at our "Success Stories" page. An MLS listing is an MLS listing. No real estate company's MLS listing can be better than another real estate company's listing. But be weary of those super cheap MLS listing companies. What kind of service will you get form them? Will they charge you to make changes to your listing? If you call them, will you speak to them or will you speak to some answering service overseas? When you want to make a change to your listing, how long will it take them to make that change? We are not the cheapest, but we are not the most expensive. But I can promise you that the value is in our customer service. You will be in good hands! We offer different terms depending on your needs. At the end of your term, if you decide you need more time, you can always extend your term if needed ($199 to extend for an additional 6 months). The maximum number of photos allowed on the MLS may vary from one MLS to another. Realtor.com allows a maximum of 25 photos. You host the open house, but we can advertise it for you. The outlets where we post your open house will vary based on the package you purchase. 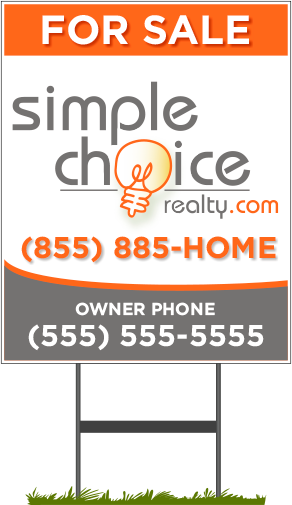 A licensed agent from Simple Choice Realty will review your offer/contract and provide feedback. This includes 1 contract review. Each additional contract/offer reviewed is $100. 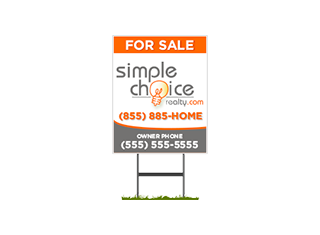 *Simple Choice Realty still does not represent you as a full service Seller's Agent. You will still be responsible for handling the actual negotiations with the buyer (or their agent) unless you have our Virtual Full Service upgrade. All listings come with a free basic For Sale sign. This is an 18x24 disposable corrugated plastic sign panel. This panel can be paired with an optional spider stake ($10) or you can get a frame from Home Depot or Lowe's for about $15. We can supply you with the PAR (PA Association of Realtors) standard agreement of sale as well as any addendum you might need. Just ask! All MLS listings will automatically publish on Realtor.com. Once your listing is live on the MLS, it usually shows up on Realtor.com within about 1-2 hours, but it can take up to 24-48 hours in some instances. Buyers can search for listings on many real estate websites. Many brokerages and agents use something called an IDX feed from the MLS (Internet Data Exchange). The MLS sends a data feed to the brokerage's website allowing them to display MLS listings on their site. Through the MLS IDX feed, your listing will appear on large company websites like ReMax and Keller Williams, etc. Your listing can also appear on smaller independent company websites. Once your listing is live on the MLS, it can take about 24-48 hours for the IDX feed to syndicate your listing to the various real estate company websites. 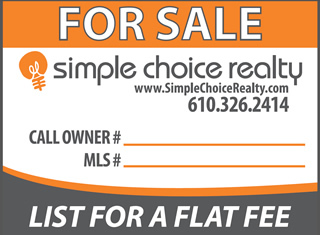 Some flat fee MLS listing companies will charge you a fee to make changes to your listing. Others will allow you a few changes for free and then charge you for additional changes. We recognize that during the course of your listing, you may need to make changes to effectively market your home. Maybe the season has changed and you want to update your photos. Maybe you realized that your price is too high and you need to reduce it to gain more activity. Whatever the case may be, you can log into your account any time and request changes to your MLS listing. We will never charge you a fee to make a change to your MLS listing. You are paying us an up-front fee to advertise your home on the MLS. If at any time during your listing term you decide you need to go in a different direction OR if you simply want to take your home off the market, we do not charge you a cancellation fee (like some of those other Flat Fee companies). We have an incredibly slick, user-friendly website. 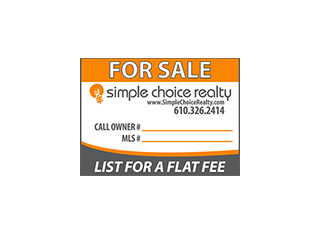 List with some other Flat Fee MLS listing company and expect to print out paperwork, fill it out by hand, fax it back, etc. Not with us! List your home with SCR and you will have an account on our website where you can complete and sign all of the required docs electronically. All changes to your listing will be done electronically as well. Easier for you. Easier for us. We are all happy! If you are unable to be at a requested showing time, you can set a specific combination and give to Buyer Realtors when they want to show the property. Change the combination any time you want. Buyer's Realtors will call an 800# or use an online portal to schedule appointments to show your home. You set the terms/restrictions (if any). The system will request feedback from the Buyer's Realtor and you will receive that feedback via email. *Depending on the location of your home, we will use 1 of 2 different companies for this service. An extensive report showing recently sold properties, in your area, many details about your home as well as the general vicinity, school info, etc. *A CMA is not the same as an appraisal report prepared by a licensed professional appraiser. If you would like a true professional opinion of value, we recommend you hire an appraiser. With most buyers doing the home searching online, you want to make sure you have a great web presence. Photos are so important when marketing a home today. With this package, a professional photographer will come to your home and take a minimum of 25 still photos. *Additional upgrades are available such as videos and aerial photography. This is the Realtor's electronic lockbox. The box can track what Realtors have accessed the lockbox. The fee is $100. At time of purchase $300 will be charged and $200 will be refunded to you once you return the box to us. 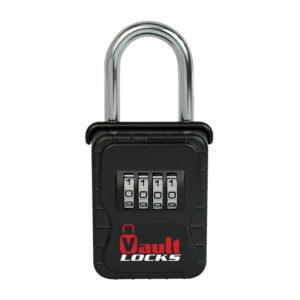 NOTE - The electronic lockboxes are only available in certain areas (Trend MLS and West Penn MLS coverage area). With our normal Flat Fee Listing programs, we collect NO FEE at closing. Our service is to advertise your home for sale, and we charge an up-front fee for that service. However, we do offer a Virtual Full Service program where we are involved at a higher capacity, and with that program, we collect a .5% commission at closing (or $2500,whichever is greater). With all of our packages, your home will be listed on the MLS (Multiple Listing Service). The purpose of the MLS is for real estate brokers and agents to share listing info with one another and to offer cooperating compensation to other agents, should they bring a buyer that results in a sale. Commissions are negotiable, but it is the policy of Simple Choice Realty that our sellers offer a minimum of 2% commission to the buyer's broker/agent. We encourage our sellers to offer 2.5% or 3% to the buyer's broker/agent. BUT....If you find your own buyer that did not come through an agent, you pay no Buyer Agent commission.